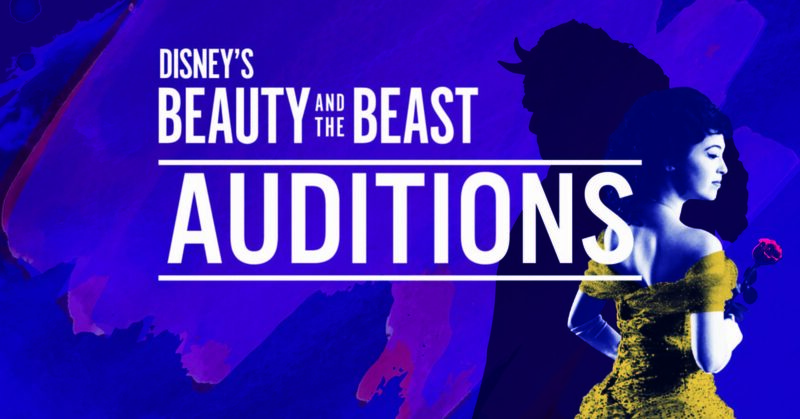 Theatre Under The Stars will hold auditions Sept. 17 and 20 for Disney’s Beauty and the Beast, the third show in the musical theatre organization’s 50th Anniversary Season. Houston auditions will be held at Theatre Under The Stars in the Hobby Center Administration Building located at 800 Bagby, Houston, Texas 77002. Equity Principal Auditions will take place on Monday, September 17 from 9 a.m. to 3:30 p.m. with sign-in beginning at 8:30 a.m. The Equity Chorus Call will be held on Thursday, September 20 from 9 a.m. to 3:30 p.m. with sign-in beginning at 8:30 a.m. National auditions will be held in Los Angeles on September 4 and 5 at the Actor’s Equity LA Audition Center. Please visit tuts.com/auditions for more details. TUTS’ production of Beauty and the Beast will be directed and choreographed by Chris Bailey who is fresh from choreographing Broadway’s Getting the Band Back Together. Bailey is known for his work on productions such as Jerry Springer – The Opera, The New Yorkers, 1776, The Entertainer, and Assassins. This summer he oversaw the historic remounting of Jerome Robbins Broadway at The Muny, where he directed and choreographed Newsies in 2017, amongst many other shows. Theatre Under The Stars worked with Disney on the creation of Beauty and the Beast in 1993. Beauty and the Beast was Disney’s first venture into the world of musical theatre, and it went on to become the 10th longest running show on Broadway. Featuring an enchanting score by Alan Mencken, lyrics by Howard Ashman and Tim Rice, and book by Linda Wolverton, Beauty and the Beast is a mesmerizing experience that embodies the magic of the theatre. Based on the classic fairy tale, Beauty and the Beast tells the story of an arrogant prince who is transformed into a hideous beast. Placed under this spell by an enchantress, he must find a way to get the beautiful, bright, Belle to love him before it is too late and he is doomed to stay a beast forever. Beauty and the Beast runs December 11 through 23 at the Hobby Center for the Performing Arts. Get tickets here or call the TUTS Box Office at 713-558-8887.